What is this, io9? What's with all the super heroes? Well, it's just the kind of thing we like to chat about during our special Kotaku Off Topic posts, where pretty much anything goes—like, discussing The Mighty Thor. 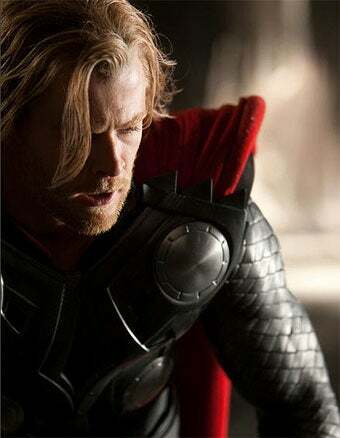 Marvel released the first shot of Thor in the upcoming Kenneth Branagh-directed film and I'm liking what I see. Not that I'm the world's biggest Thor fan, as I read, primarily, Walter and Louise Simonson's run on the Marvel comic way back when. And that was pretty much it. I'd enjoyed The Ultimates version of Thor quite a bit, but I'm excited to have no expectations to shatter. Seems to be better that way. Perhaps the Avengers aspect that I'm most excited about its Edgar Wright's take on Ant-man. Here's more superhero stuff for you to absorb. Please use your mutant powers of off topic conversation to keep this weekend chitchat humming along. Adios amigos! First Look: Hank Azaria as Gargamel in The Smurfs - I dunno, looks a little smurfy, don't you think? Batman 3 coming July 20, 2012 - Sounds like Nolan and co. had a storyline worked out earlier this year. I'm excited to see how it goes. The Story of Electron Boy - Hundreds of Make-A-Wish volunteers give Erik Martin the best day of his life.